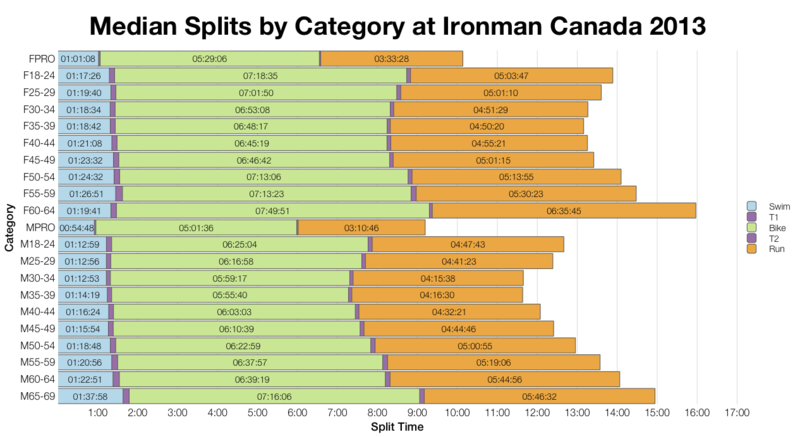 Although there’s been an Ironman in Canada for many years it’s only been at Whistler for one. Was that year fast or slow for the course? It’s impossible to tell, which limits what I can say as part of my pre-race analysis. 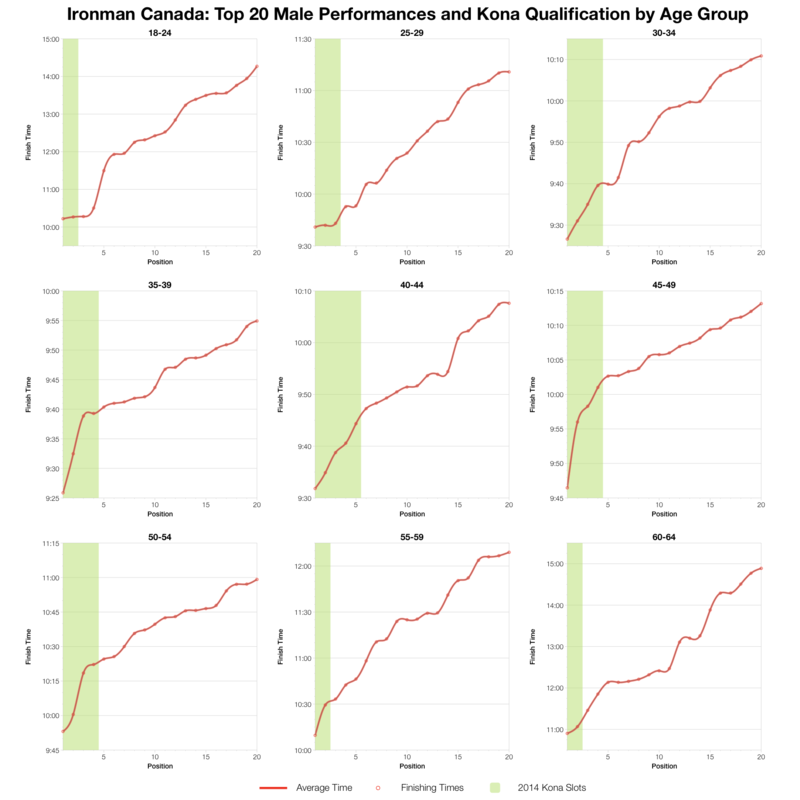 I can present the stats for last year’s race and if you’re interested in how it compares to the Penticton course you can also read my report on the 2013 race. This year sees a similarly sized field to last, but with half the Kona slots on offer – only 50 are available in 2014. Data is limited, but more detailed age group specific statistics are available to download at the bottom of this page. 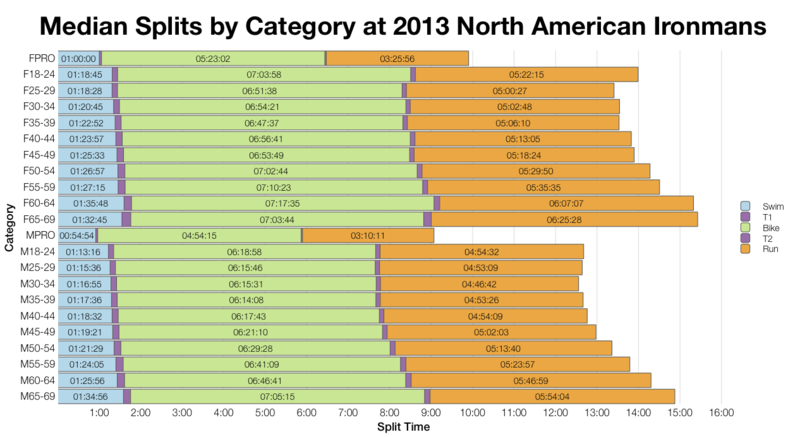 Median splits from Whistler come in faster than the aggregated average of North American races last year. 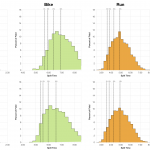 In most age groups splits trend faster across all 3 disciplines; for the pro ranks the pattern is reversed, if anything the race averaged a little slower. 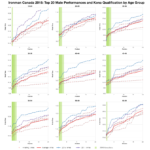 Quality of the field probably plays a role and the large Kona slot count of 2013 may have helped draw stronger age group competition to the event. Equally as a single year we can’t know if perhaps it’s simply a relatively fast course in comparison to others. 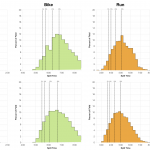 Comparing the distributions helps to clear the issue – times are generally faster, but more so at the middle of the pack than the front. Perhaps the Kona chasers weren’t as significant to the results as I initially thought. This might point more towards a faster course where more athletes are pulled into mid-pack times. 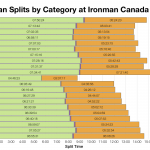 Above are my estimates for Kona slot allocation at this years race; all figures are based on the bib list available on Ironman.com. Slots are spread more thinly this year with 4 or 5 at best in the largest male age groups. 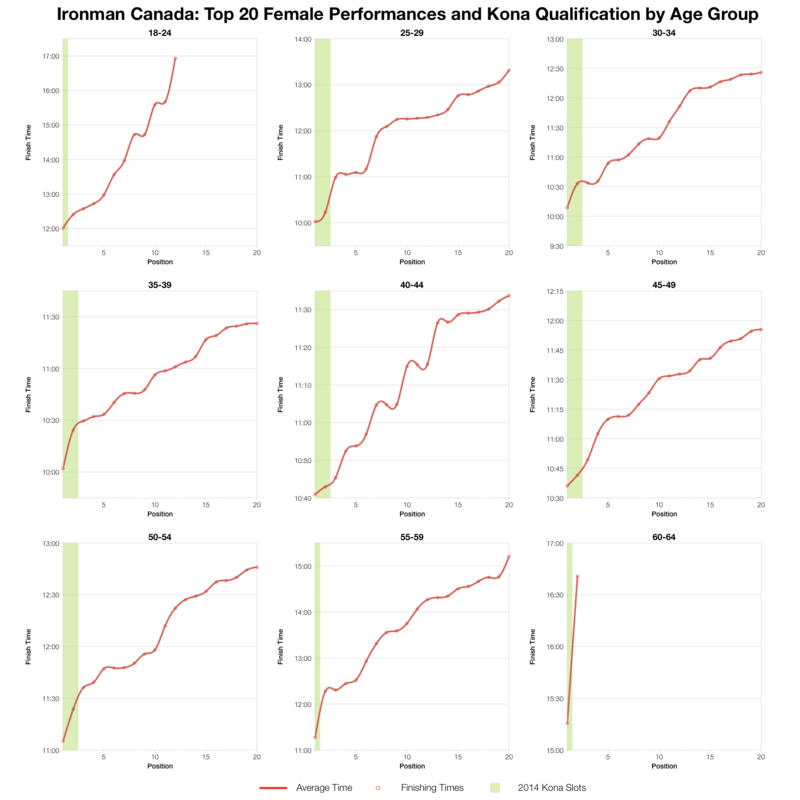 With no real history of results to consider the top twenties aren’t a particularly useful guide to likely Kona times in Whistler. Points of note are that last year in the women’s field winners came close to 10:00 hours on the course meaning 10:30 or less was a typical requirement for a slot. On the men’s side of things we tended to see qualifying times in the 9:30-9:45 range with few ducking below the 9:30 mark in the age group ranks. So while the women’s times tend towards the faster end of the qualifying scale, the men’s seem more like what we might expect. There’s a little more detail for each age group in the PDFs below. 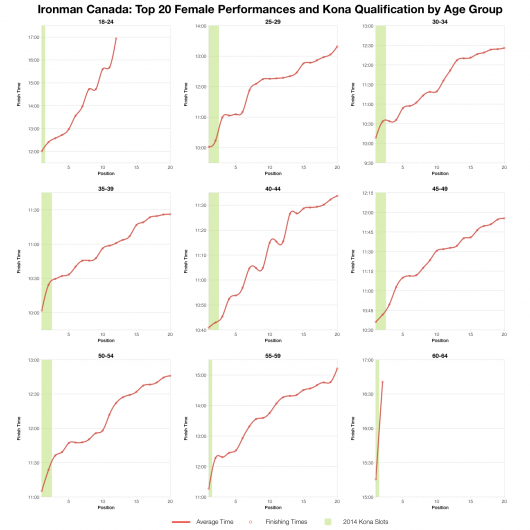 Age group specific Ironman Canada results analysis. More charts and more detailed timings and splits for top age grouper and Kona qualifiers. A full analysis of the second year of racing in Whistler will follow the event. Due to travel this may not be till early August.